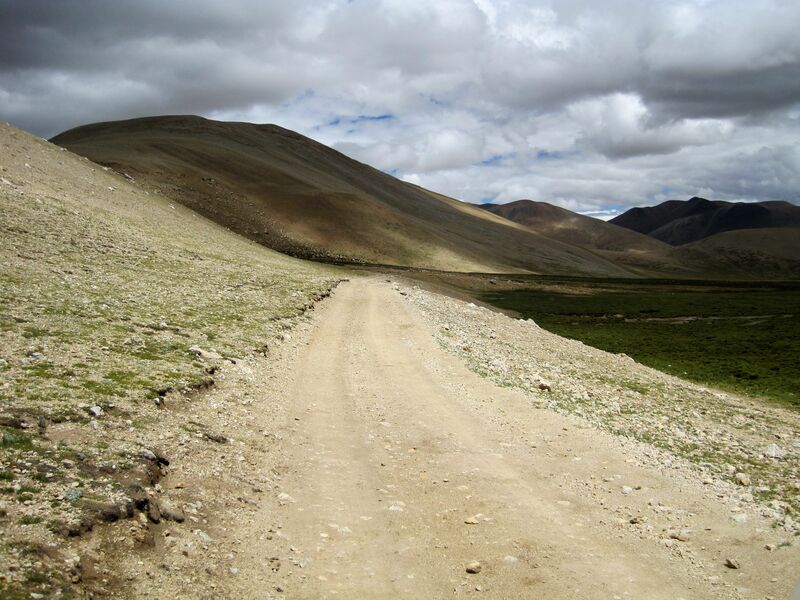 Lhasa-Kathmandu by Friendship Highway takes you for the epic journey across the Tibetan Plateau. Stopping at Yamdrok Lake, then in Gyantse, Shigatse, Tingri; visiting Monasteries and Tibetan family, Everest Base Camp, then crossing Himalayas through Sun-Kosi Gorge along Arniko Highway to end the journey in Kathmandu. Driving across the Tibetan plateau from Lhasa through Himalayas to the capital of Nepal - Katmandu is certainly one of the most memorable adventures. 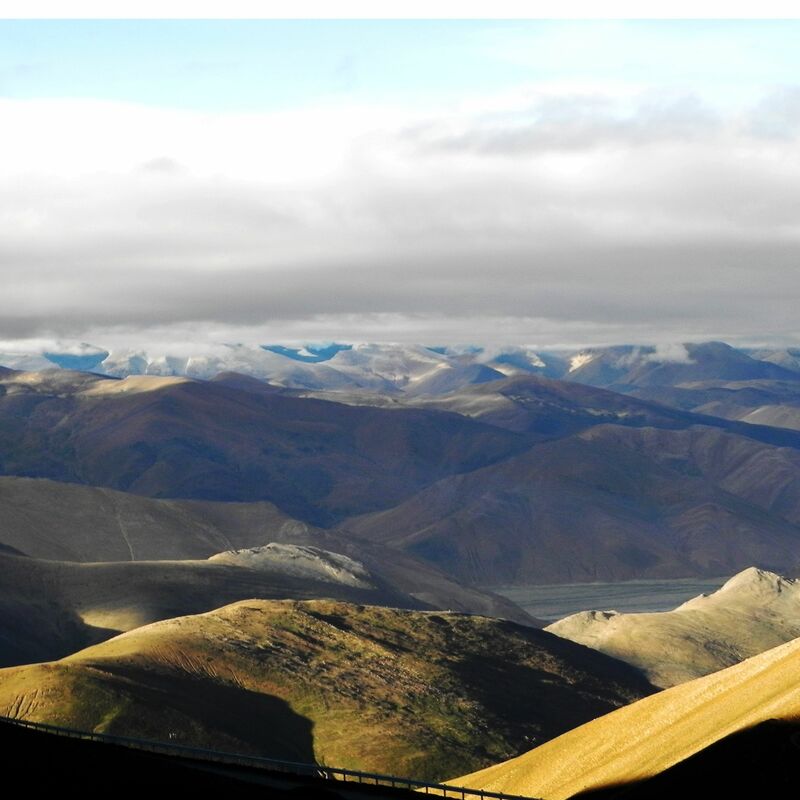 Fortunately for nature lovers, Tibet despite recent big infrastructure projects, fast development of urban areas and visible social changes is still a land of an unspoiled nature. 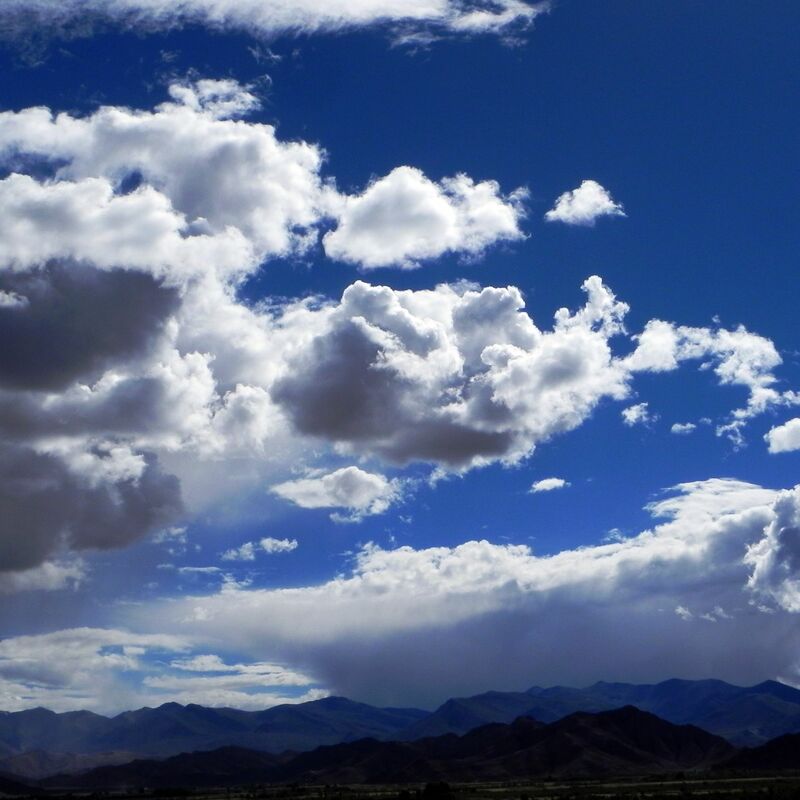 Thanks to the remoteness and vastness of its territory the Mother Nature manages to preserve Tibet’s “virginity” (at least so-far). For tourists it is also the land of legends and mysticism fueled by explorers and adventurers daring to challenge this wasteland during past centuries. These days the hoards of tourists literally invade Lhasa’s streets. 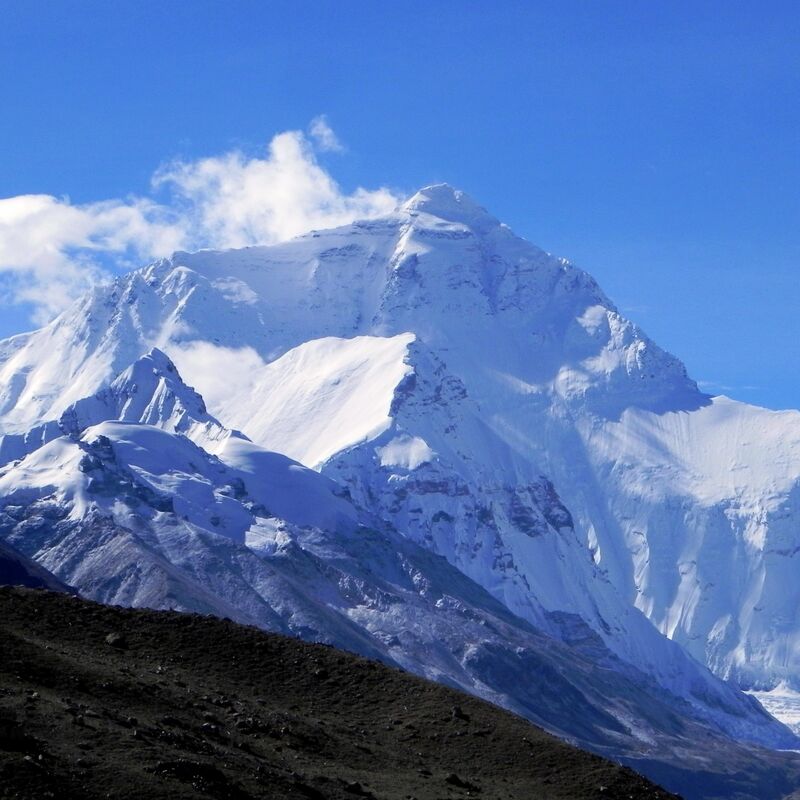 But luckily (for the nature) not that many decide to explore Tibetan interior let alone cross the Himalayan Range watched over by the Mother of All Mountains – Mt. Everest (Chomolungma) and her ten-thousanders siblings. Most likely the future will not bring anything good for the Tibetan nature due to unquenched human appetite for experiences so far reserved only for few chosen and privileged. Frankly, the “picture” of a modern highway crossing Himalayas, packed with cars, trucks and/or hordes of backpackers invading mountains’ trails is so frightening. But sadly, it may become reality sooner than we think. Map presenting the itinerary of the overland trip from Lhasa to Kathmandu with the visit to the Everest Base Camp. That is why on these pages I’m proposing you the virtual Tibetan Odyssey offering an opportunity to experience an adventure in the comfort and warmness of your home. An adventure without incurring any risk of high altitude sickness (AMS), staying away from dangers on the Kathmandu’s road and equally important – without any impact on the nature. The road from Lhasa to Kathmandu follows the ancient trade route linking China with the Indian Subcontinent, Arabian Peninsula and farther to the west – with the Mediterranean Europe. 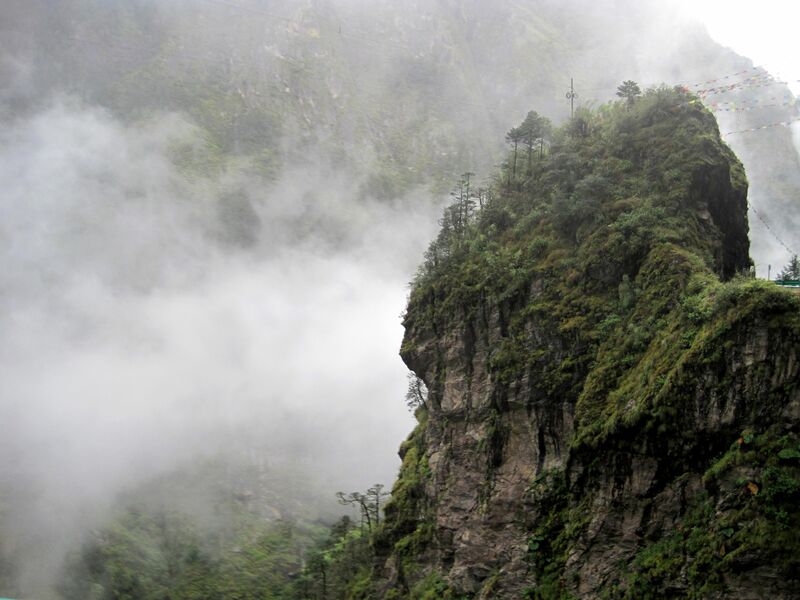 It takes advantage of the gap between two imposing Himalayan Ranges – Mt. Everest-Lhotse and Annapurna - “snaking” along the cliffs of the Sun Kosi gorge into Kathmandu Valley. The road has two distinctive sections clearly belongings to two different worlds. 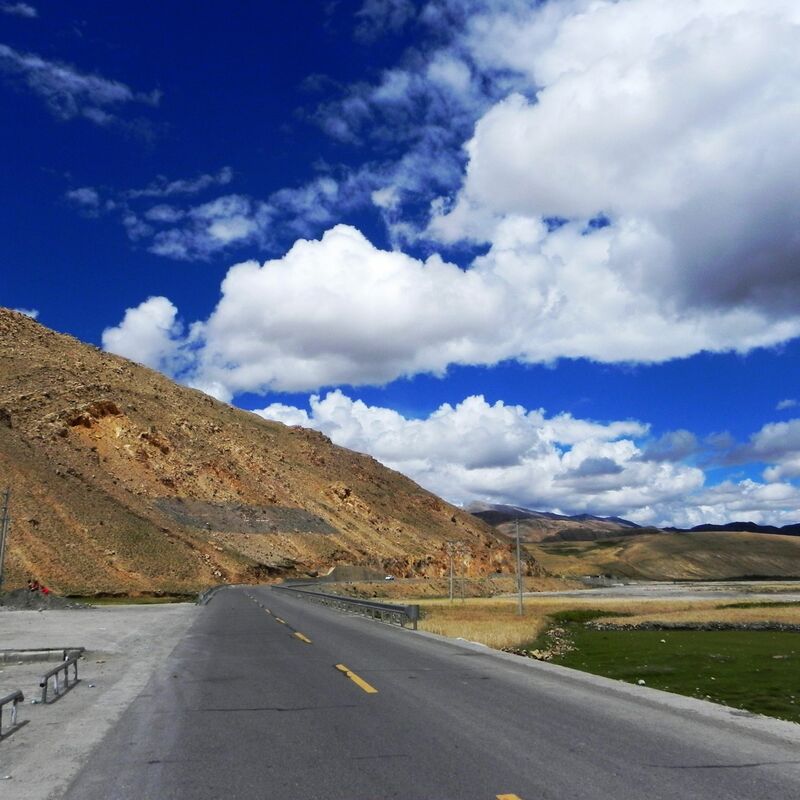 The Tibetan section of the road called Friendship Highway is a westward extension of the China National Rd 318 starting some few thousands miles away in Shanghai. After recent modernization it is well maintained asphalt and concrete paved highway. 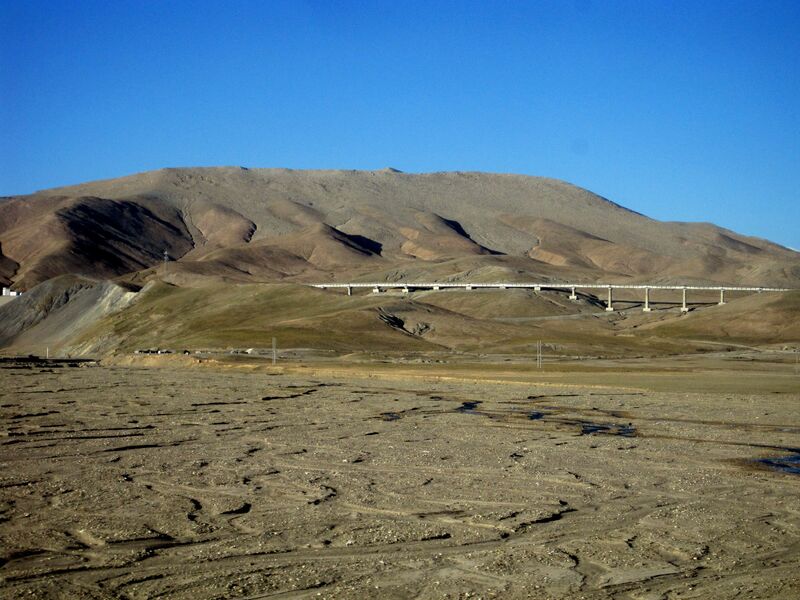 Over the length of about 820 km from Lhasa to the Nepalese border the Friendship Highway either follows rivers or meanders across mostly arid Tibetan plains. 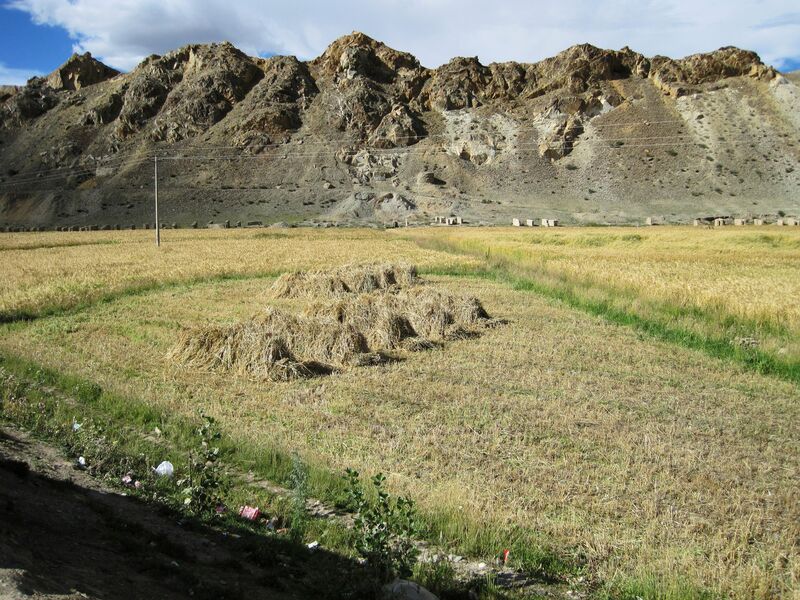 In a stunning contrast to the barren landscape of the Tibetan plateau, valleys thrive with life. 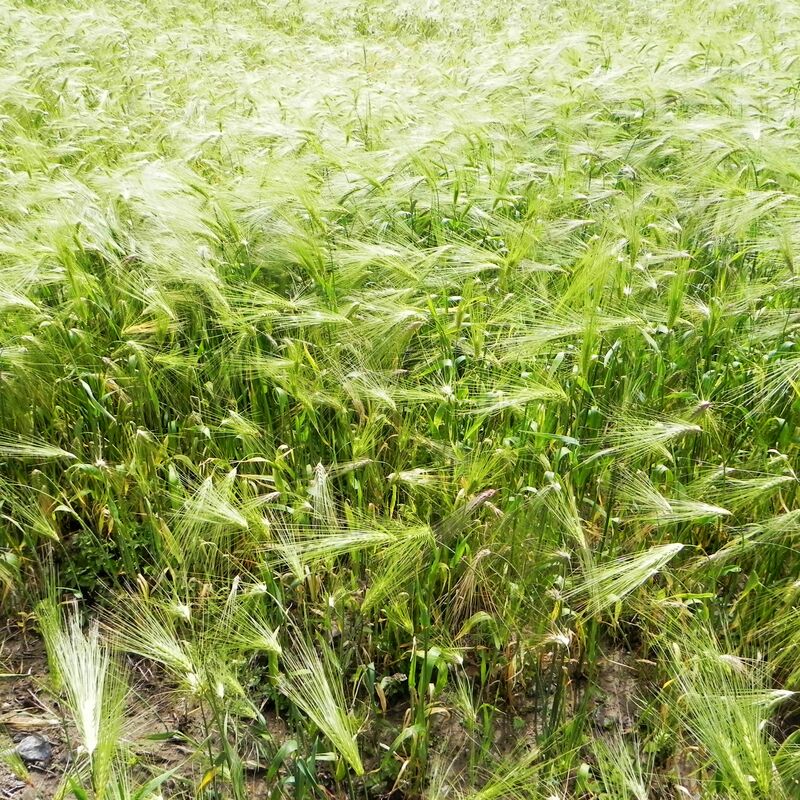 Fields of apparently “high-altitude-hardened” wheat as well as meadows and grasslands are eagerly encroaching into each piece of soil. At first glance it is quite confusing as all that happens at an altitude exceeding 11,500 ft (3500 m), but it is real thanks to fertile alluvial soil brought by the water from the mountains. Along the way turquoise lakes, mighty Himalayan peaks, vibrantly blue sky and breathtaking passes. And frankly from some at more than 16,500 ft (5000 m) above the sea level panoramic views literally take your breath away. Few, almost lost in this vastness towns like Gyantse, Shigatse, Lhatse and Tingri (known mostly to Buddhist pilgrims for their holly monasteries) and here and there little settlements dotting the valleys are the only signs of civilization. The Sino-Nepal Friendship Bridge separates two border cities - Tibetan Zhangmu and Nepalese Kodari. It also marks the dramatic change of landscape, climate and what used to be highway. Over the short distance of few tens of miles starting from the last pass on the Tibetan side Tong La at 16,900 ft (5150 m) the road descends a stunning 15,000 ft (4600 m). The arid land suddenly transforms into lush-green sub-tropical lowlands. The bad news is that at the same time the paved Friendship Highway simply disappears and suddenly you find yourself on the most dangerous road in Nepal. What is proudly called Arniko Highway reminds rather old mountainous paths that for centuries with more or less luck have been traversed by caravans of yaks. Mesmerizing view on turquoise waters of the Yamdrok Lake. The bottom line is – for days since you left Lhasa your adrenaline level has been already kept on the high side. But on the last section of the road to Kathmandu, despite dramatic descend of terrain from the highs of the Tibetan plateau to the lowlands of Kathmandu Valley your adrenaline level actually jumps-up…. The objective of this virtual journey is to take you for the trip from Lhasa to Kathmandu in the safety of your home. But I know that for some readers it will be also an inspiration to follow this still unbeaten path on their own. 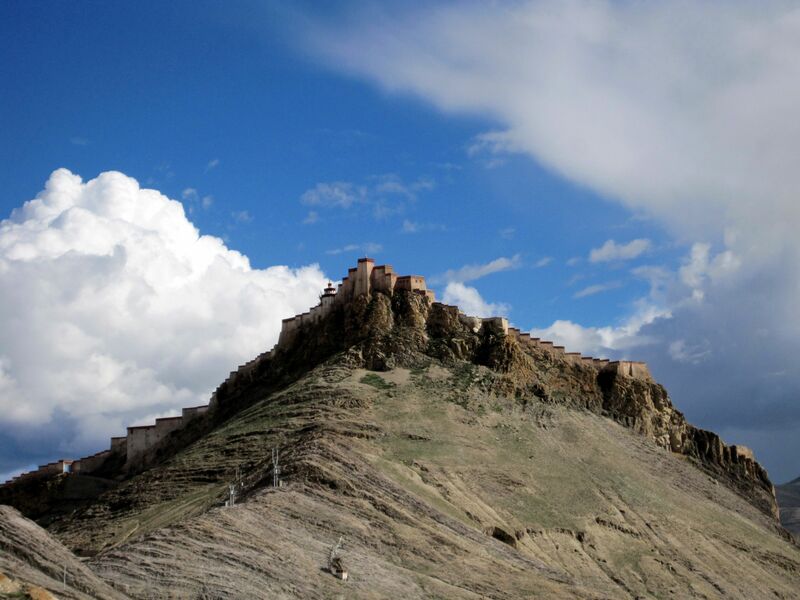 14th century Dzong Fort in Gyantse. 1. Majority of tourists take flight from the Mainland China to Lhasa. Moving in just few hours from the sea level to the Roof of the World at 10,500ft (3500 m) is a huge stress that may result in an AMS (Acute Mountain Sickness) or at least prolonged headaches. Much better option is to take the famous train to Lhasa (from the last major mainland’s stop in Lanzhou it is a one day ride). The trip by train crossing 16,500 ft (5000m) pass and large swaths of permafrost covered landscape is an attraction by itself. But what may be also beneficial for your health is the longer acclimatization time to high elevations. 3 days in Lhasa (necessary for acclimatization, visits to nearby monasteries and free time on the streets to feel the spirit of the city). 3-4 days trip from Lhasa to Zhangmu including one day detour to the Everest Base Camp (EBC) as well as visits to the most important monasteries and tourist’s attractions along the way. 1 day from the border at Zhangmu/Kodari to Kathmandu. This seems to be the reasonable minimum assuming small group of focused tourists (knowing what they want) – all in good physical shape (so no extra delays). 3. Many tourists visiting Mt. Everest Base Camp stay there for the night (either in the EBC or the friendly nearby Rongbuk Monastery. 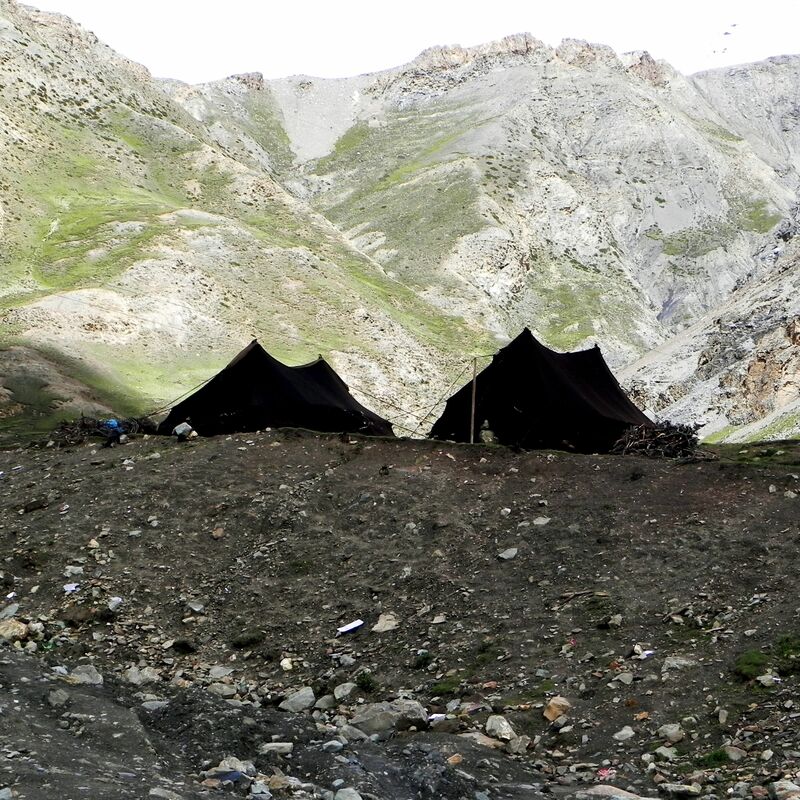 Undoubtedly this is part of the life time adventure – sleeping at the foothills of the Mother of All Mountains. However given the fact that both places are located at above 16,500 ft (5000 m), for many it may be wiser to go back to the Friendship Highway and drive towards the Nepalese border to sleep at lower elevations. 4. Obviously you can make this trip in either direction, but at the end you will always face the same question – what is next? Some will opt for flight from Katmandu back to Lhasa (or opposite way). If this is part of your tour then there are flights from Kathmandu to Lhasa operated by Air China. It takes 1hr 20 minutes and it is almost guaranteed that on the way back you will see Himalayan peaks (clouds are usually at the lower level). You have to check schedule as it changes during the year (daily in high season and twice a week during the low season). 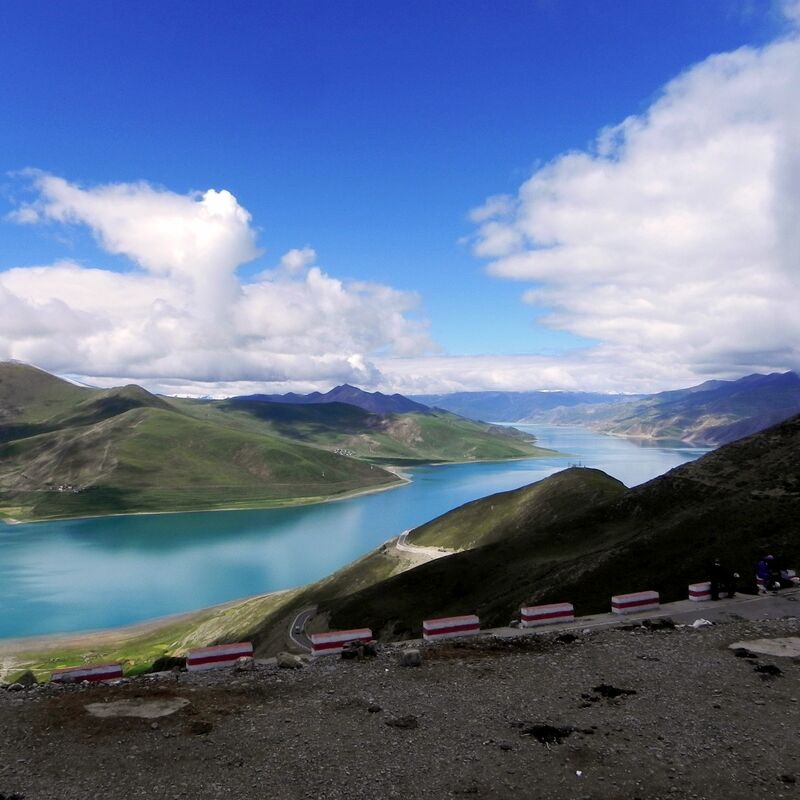 But instead of flying back to Lhasa (or mainland China), you may consider taking the flight to Hong-Kong and spending few days there to relax before going back home. Nepal climate is strongly influenced by monsoons (usually mid-May till mid-September). Simply speaking - the summer time is hot and wet. And the “wet season” in Nepal literally means WET! (Most of us have quite good understanding of what means “hot” so no comments on that). If your intention is to spend some time in Kathmandu (and Nepal in general) while already there then obviously the summer season is a wrong time! 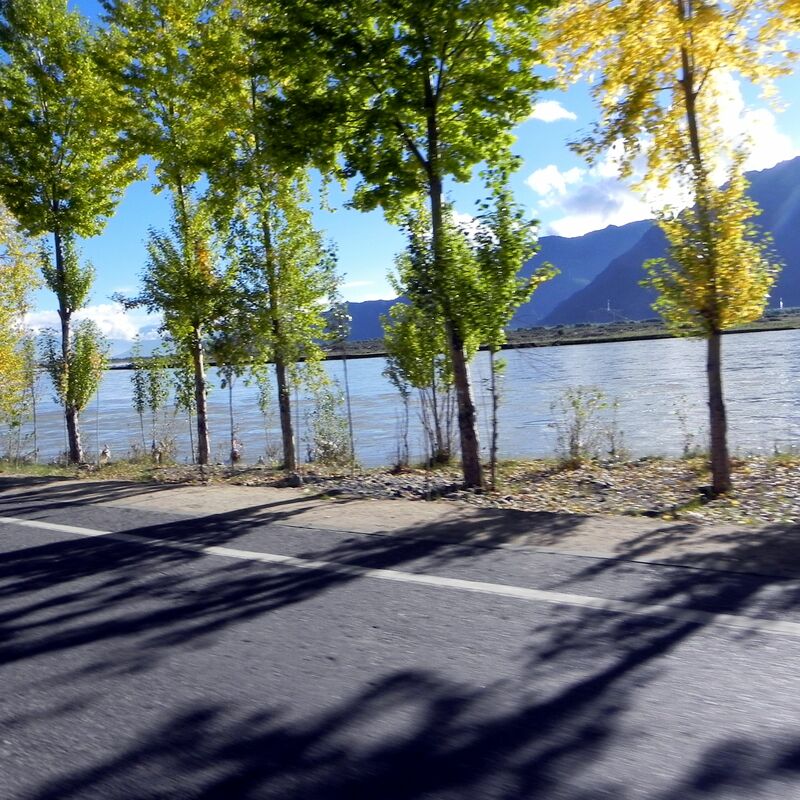 During mid-September to mid-October “time window” Tibet is still relatively warm, in natural shades and whenever possible in colors of an early fall. The bad news is that during that time the Himalayan Range may be covered by clouds (you have usually only half-day in EBC for close-up and personal encounter with the majestic Mt. Everest). Unfortunately the best chance for an unobstructed view of the Himalayan Range is during the winter season, but for such adventure you must be one of these “hard-to-die” explorers! Tibet - land of contrasts. From dirt roads heading to the Mt. Everest Base Camp, through melting glaciers along the Friendship Highway to mysterious, misty Sun-Kosi Gorge crossing Himalayas to Kathmandu Valley. Some tourists may opt for the second window of opportunity from mid-March to mid-May. However you have to keep in mind that Tibetan winter is long, so most likely the whole plateau will be still covered by the snow. You may also add some post-monsoon “time-buffer” before entering Nepal. Be aware that the monsoon season sometimes extends a bit longer. But the most important risk of being there “too early” is that the Arniko Highway (in its current "state of sorry") due to post-wet season landslides may be closed for several days!